It’s hard to put into words just how massive the Friedrichshafen event really is. 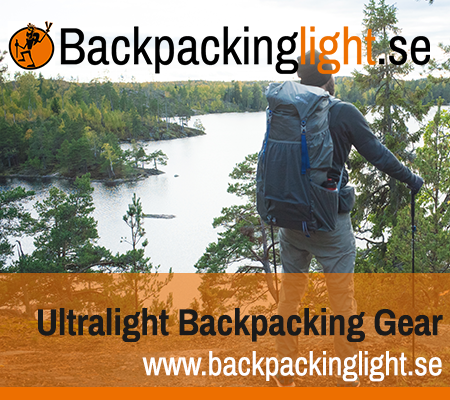 It is quite simply the epicenter of outdoor gear and trade here in Europe connecting manufacturers with agents, distributors, pr and bloggs. If a company wants to break into the european market, this event is a must. I am happy that I gave myself the four days to go through it all.. It’s just massive. With that said I can imagine it’s fairly easy for a company to be drowned out, it was easy to see that many were. Also, it’s very difficult for a company to not only be seen in this kind of enviroment, but to stand out with products. In general I’m not looking for this years next big thing, and writing about gear is not my biggest passion either, I can however say that some companies did have products that I liked and these I will post here. There were a lot of very interesting tents at the show, many of them would give any ultralight blogger wet dreams, however these I was not allowed to take pictures of.. so, I instead took pictures of the Big Sky international wisp 1.5 cuben tent which I was allowed to take pictures of. The wisp 1.5 is a big brother to their Wisp. So far it’s the only cuben tent on display that I have seen, and the only one on sale in stores in Europe. Jetboil had some new products to show off. Or atleast the same products with new valve features that allows for much faster boils at around 1.30 minutes per boil. Impressive. Sadly no more Titanium SOL. This Nordisk tent is incredibly light for a double wall tent, weighing in at 500 or 600 grams (can’t remember now). Even won the award for most innovative product. Honestly though, not knocking the product, but I don’t see how a real live human could fit in this. The top of the loop didn’t even reach my knee caps, that’s how small this tent is. Hilleberg on the other hand had a product that stood out for me, the Mesh 1 and the Tarp 5 you see here. A real live human can easily fit in this with room to spare. Total weight 710 grams for the tarp and mesh inner, with a few impressive innovations that I would like to show off later. I am in the talks with them now, and hopefully I will be able to use this kit for one of my future outings this year.